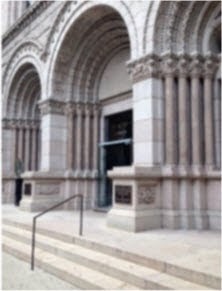 I recently visited the Newberry Library (http://www.newberry.org), a renowned genealogical repository, at 60 West Walton Street in Chicago, Illinois. Admission is free to the public. Before you go, be sure to check the library’s hours (http://www.newberry.org/hours). The reading rooms are closed on Sundays and Mondays. When you arrive, depending on what you have with you, you may need to put some of your belongings in a coin-operated locker near the lobby. We put our coats and an umbrella in the locker. The first thing you need to do when you visit the library is obtain a reader’s card at the third floor reference desk (http://www.newberry.org/obtaining-readers-card). This is a quick process. The research room is on the second floor. When you enter, you will need to sign in. The librarian will assign you a table. 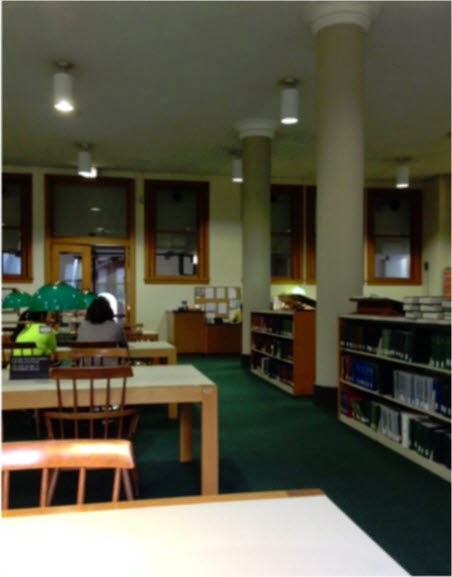 Before your visit, become familiar with the Reading Room Procedures (http://www.newberry.org/reading-room-procedures) and Policies (http://www.newberry.org/reading-room-policies). Remember to turn off your cell phone! Prior to your visit, be sure to go online (http://www.newberry.org/research) and research the holdings at the Newberry. This will save you time when you arrive. There are many books available on open shelves for your perusal. However, more specific items and materials for a few states need to be ordered at the front desk. There are forms available for this purpose. 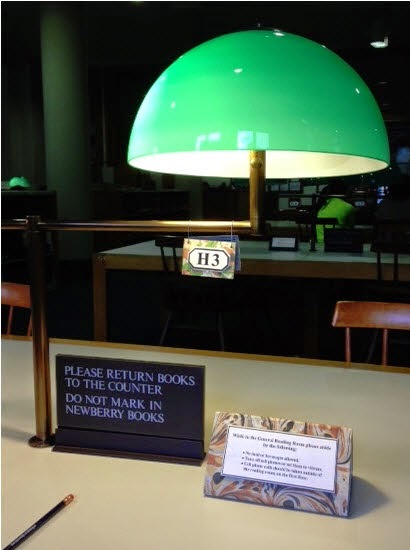 The librarians promptly retrieve your requested item and deliver it directly to your table. There are also computer workstations for online research. There are many digital resources (http://www.newberry.org/digital-resources-and-publications) available, including JSTOR. In addition, there are numerous microfilm readers. Other than some distant cousins, I do not have any Chicago ancestors. However, that is not a problem since the Newberry caters to numerous locations in addition to the Chicago area. While I was there, I did research on my ancestors in Vermont, Tennessee, Arkansas, New York, Connecticut, Massachusetts and Rhode Island. My husband was researching his ancestors in Illinois and Kentucky. Here is a link to the library’s Research Guides: http://www.newberry.org/research-guides. No matter what your heritage, the Newberry will no doubt have material to help you in your research. Ritter, Kathy A. 1986. Apprentices of Connecticut, 1637-1900. Salt Lake City, UT: Ancestry Pub. American Antiquarian Society. 1961. Index of marriages in Massachusetts Centinel and Columbian centinel, 1784 to 1840. Boston: Hall. American Antiquarian Society. 1961. Index of obituaries in Massachusetts Centinel and Columbian centinel, 1784-1840. Boston: G.K. Hall. Longver, Phyllis O., and Pauline Johnson Oesterlin. 1993. A surname guide to Massachusetts Town Histories. Bowie, Md: Heritage Books. Patterson, Ferne Kitson. 1985. Pioneers of Vernon, Oneida County, New York, and the Root family. Interlaken, N.Y. (3605 West Ave., Interlaken 14847): F.K. Patterson. Chamberlain, Mildred Mosher. 1985. The Rhode Island 1777 Military Census. Baltimore: Genealogical Pub. Co.
Ray, Worth S. 1950. Tennessee cousins; a History of Tennessee People. Whitley, Edythe Johns Rucker. 1980. Tennessee Genealogical Records: Records of Early Settlers from State and County Archives. Bartley, Scott Andrew. 1992. Vermont Families in 1791. Camden, Me: Picton Press. Holbrook, Jay Mack. 1976. Vermont's First Settlers. Oxford, Mass: Holbrook Research Institute. Rollins, Alden M. 2003. Vermont Religious Certificates. Rockport, Me: Picton Press. Rollins, Alden M. 1995. Vermont Warnings Out. Camden, Me: Picton Press. I found my Newberry experience to be extremely favorable. The library workers were very professional and pleasant. The reading room was comfortable, attractive and quiet. I can’t wait to return. I stayed at Hotel Indigo, which was an easy walk—about five blocks. There are many other hotels nearby along with numerous, wonderful restaurants. 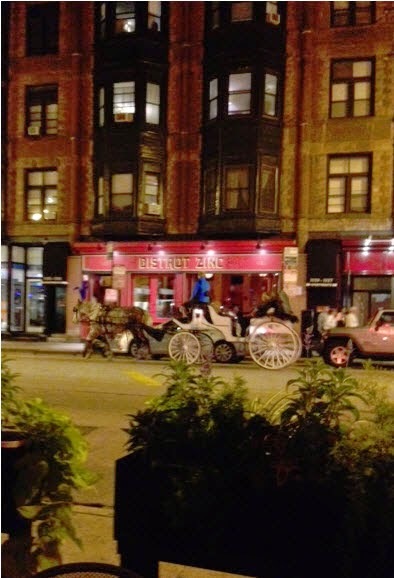 After a hard day of research, be sure to treat yourself to a night in the fabulous city of Chicago.